When 30 days have elapsed after a decedent’s passing in Wyoming, heirs may file the affidavit of heirship to claim bank accounts, debts like final paychecks, heirlooms, and vehicles belonging to the deceased. 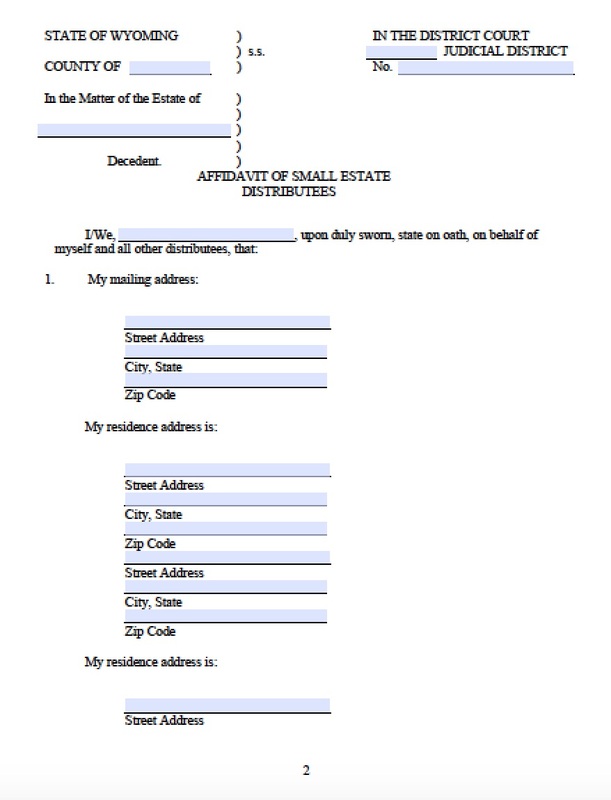 If these items value more than $150,000 total, and there is no will, then the estate will go to probate court. 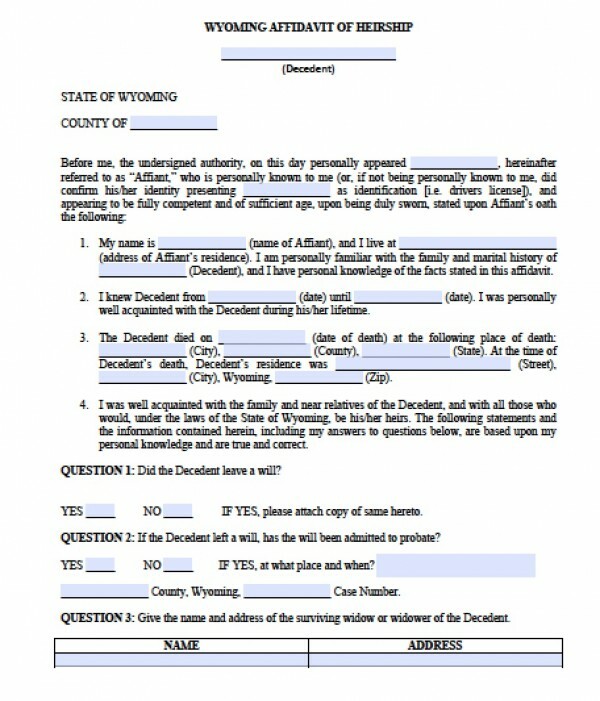 Otherwise, the grieving family may use the affidavit of heirship to avoid probate court, per Wyo. Stat. § 2-1-201.